You know that feeling where you set something down and then ten minutes late you can’t remember where you left it? Ever done that with an entire car? In crowded parking lots across the world, there are poor, unfortunate souls wandering back and forth, swiveling their heads like prairie dogs, their hopes for finding their cars melting like the ice cream they came to purchase. Well, that is, except for one. 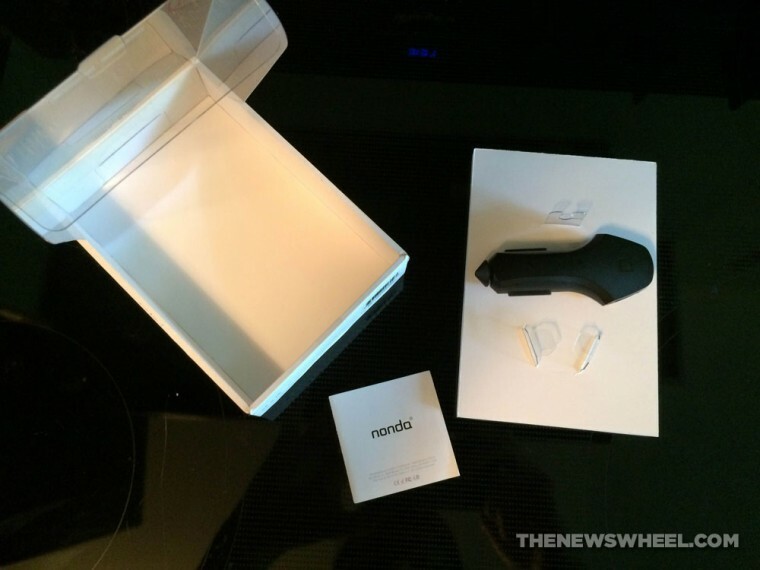 One takes out their cell phone, and uses an app to find their car, thanks to the NoNDA ZUS Smart Car Charger. 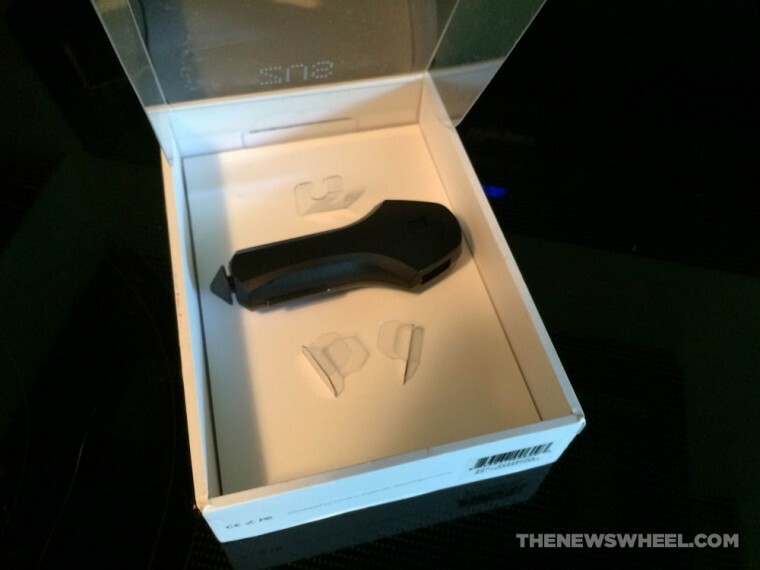 To begin with, the charger’s packaging looks pretty good—the ZUS itself is suspended from clear plastic tabs in the center of a white box, giving it a sort of “video game item drop” impression. Then I went to open it. In a word, the ZUS’ packaging is secure. Really secure. As in, when I was trying to get the charger out while simultaneously attempting to keep the box intact, I briefly considered getting a knife from my kitchen to use as a lever. After a mildly embarrassing amount of time, I managed to get it out, and found the short instruction leaflet. The instructions were pretty clear from the beginning, and after a short time spent in the App Store, I was set. Keep It Up: Now that your phone is charging, where are you going to put it? 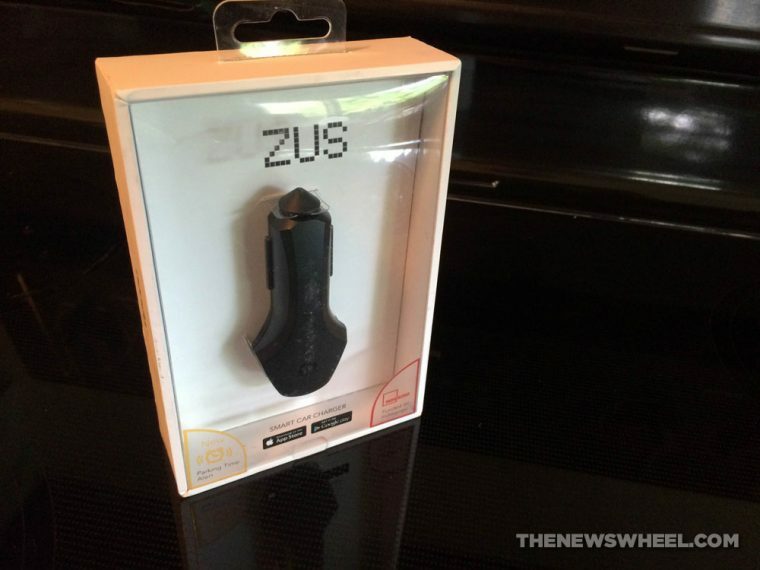 On the back of the box, NoNDA claims that the ZUS has been created with Military Grade Quality (specifically, US Military High Temperature Standards). I am not sure what that entails, but the charger is made of heavy metal, and seems very sturdy. It resists being put into the power point with the same stubbornness that it resisted being removed from its packaging, so once it was pushed in, it was not coming out from any sort of regular turbulence. Let’s get this out of the way first—the packaging claimed that it is capable of two times normal charging speed, meaning it has a maximum rate of 4.8A (which is actually the same as the Bracketron EZCharge car charger we reviewed a while back). I didn’t really have the chance to test this out scientifically, but I set it a challenge while I drove across the state, which was attempting to charge my phone while it continuously streamed and played a 3-hour YouTube video (don’t worry, I just listened to it–distracted driving is bad). While not plugged in, the phone would have been dead by the halfway point, but while plugged in, the phone not only retained its charge but also charged to full somewhere along the way. Also, the built-in lights worked as advertised, and lit up the charging ports in low light. I tested the charger in two different cars, and in one the lights turned off, while in the other the lights stayed on, so to save your battery, I would suggest that after you turn off the car, you unplug the charger. The biggest draw of this charger, of course, was the associated app. 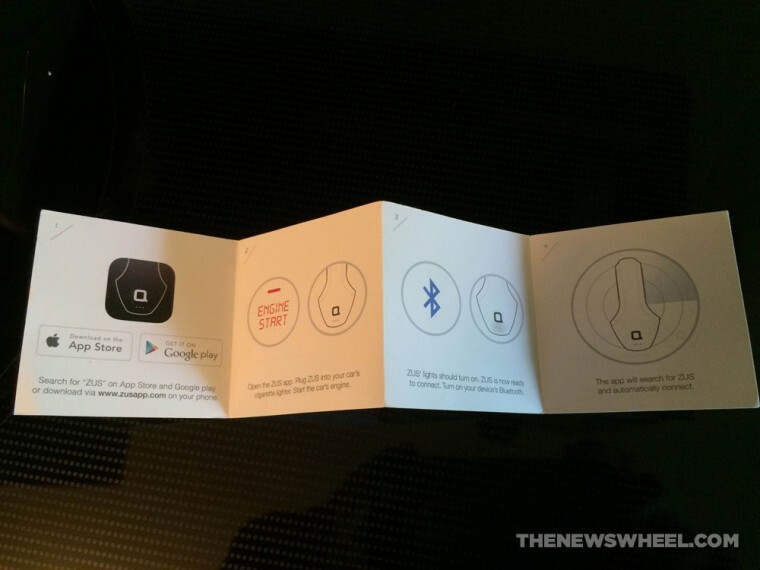 It uses Bluetooth to connect the charger and your phone, and when it no longer receives a signal from the charger, it saves that location as your parking spot. Then, when you leave from the mall, dormitory, or workplace where you had been, the app directs you back to that spot using GPS. Once you start your car and the charger gets power again, the app reconnects and will wait until it loses the connection again. The GPS is generally correct on the direction where you car is, but there is one slight problem—it has a bit of a margin of error. The first time I used the app to locate my car when leaving work, I decided to trust entirely in the app and see what happens, and the app tried to lead me up an embankment a row or two past my parking spot, before saying my car was nearby. However, the second time I used it, it was completely spot-on accurate. The app tells you that, when you reach the GPS coordinates, your car is within 30 feet, which leaves its own fair-sized reported margin already, so I would say that you should only use the location app for a general location, then keep your eyes peeled when you get within 60 or so feet of where the app tells you the car is. Keep in mind that if you park in a garage or somewhere else where you don’t have GPS signal, you won’t be able to use the “find my car” part of the app. Instead, it asks you to take a picture of your surroundings, so you can snap a picture of your floor, spot number, nearby landmarks, etc. The app also includes two other major points of interest—a Google-Maps-ish map to your parking location (in case you didn’t want to use something that points to your car like a compass, like if, say, you car was parked on the other side of an obstruction), and a parking timer. The timer especially came in handy after that long drive across the state, as parking in Athens, Ohio, is largely either reserved for students and faculty or a parking meter. Handily, the timer recognizes that you need to walk to your car once the alarm goes off, so goes off ten minutes before the time you put into it. One caveat: while driving with this charger, don’t turn off the app or pull out the charger. 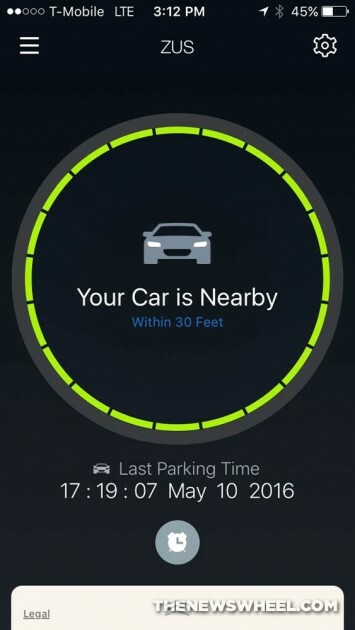 If you do so, it will assume that you just parked, and the app may not reconnect to the charger when it assumes your car is parked over 100 miles away, although it seems to reconnect just fine within maybe 100 feet of its saved location, and seems to do so sometimes anyway when disconnected. In a worst-case scenario, you can probably just have the app forget the device and then reconnect it like you did when you first opened it. Overall, I like the ZUS charger a lot. It charges well, it helps out a lot during those times when either due to memory lapse or unfamiliar terrain I forget where I parked, its parking timer made me get back to my meter three minutes before it was up, and honestly, its kind of fun having what amounts to a car-seeking compass to point the way intrepidly to my vehicle, even if it does occasionally point me a dozen yards past it. 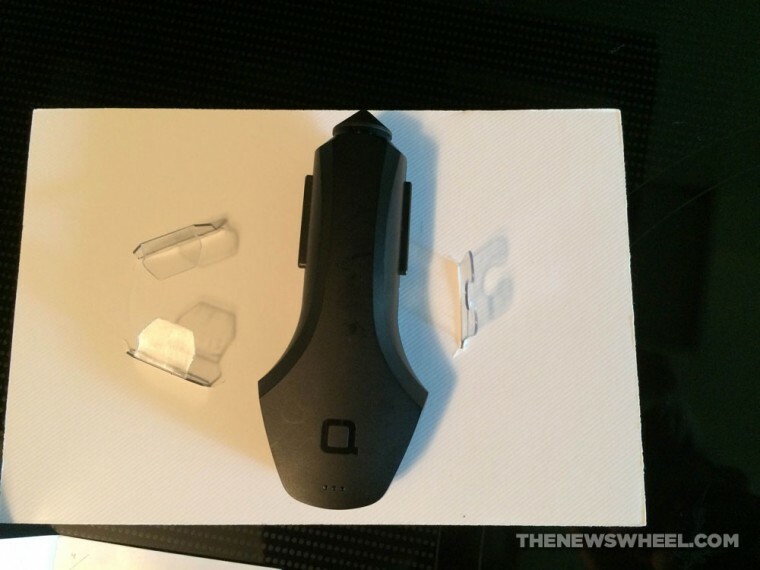 The ZUS Smart Car Charger are available through the company’s website and Amazon.